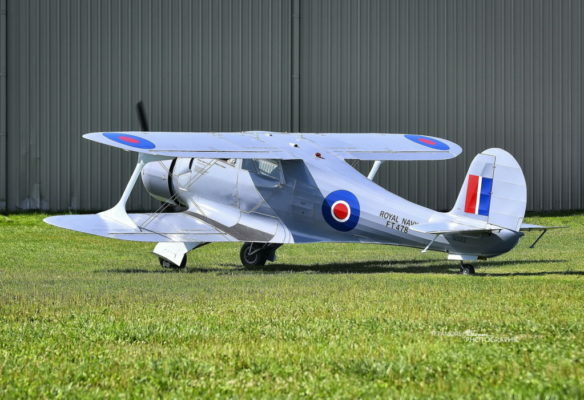 This distinctive and elegant biplane, with its retractable undercarriage and back-staggered wings, first appeared in British military markings in 1941. The acquisition of 107 Staggerwings through the Lend-Lease arrangement led to the adoption of the USAAF name, albeit anglicized with a double L, to Traveller Mk I. The Traveller Mk I provided comfortable seating for four passengers and the pilot, and was a welcome addition to both the RAF and the FAA for communications duty. Thirty of the Travellers Mk Is destined for the RAF were to be shipped in batches from New York to Suez, Egypt between March and October 1943, aboard the SS Tabian, Augumonte, and Philip Schugler. However, 12 of the aircraft were lost at sea when the Augumonte was torpedoed by a U-boat on 29 May 1943. 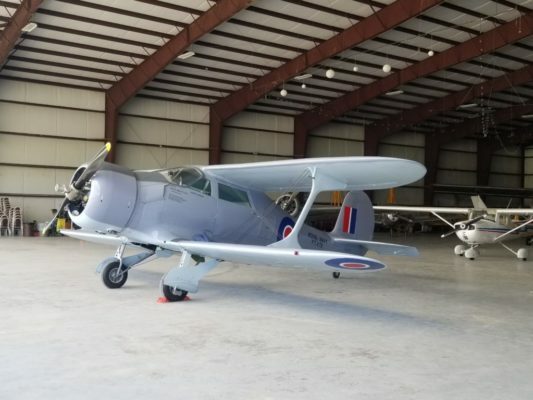 The Staggerwing recently donated to the Museum was built in 1944 and was sent to Britain under the Lend-Lease agreement to serve with the Royal Navy as a Traveller Mk I, serial number FT478. It was returned to the US after the war and was sold into civilian use. After a series of different owners, it was purchased in 1994 by Granger Haugh in California. Mr. Haugh donated the aircraft to the Museum in April, 2007.